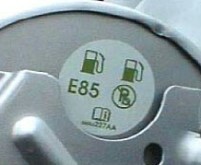 Flexible fuel vehicles (FFVs) are designed to run on gasoline or a blend of up to 85% ethanol (E85). Except for a few engine and fuel system modifications, they are identical to gasoline-only models. FFVs experience no loss in performance when operating on E85. 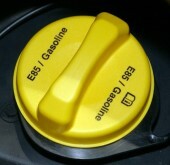 However, since ethanol contains less energy per volume than gasoline, FFVs typically get about 25-30% fewer miles per gallon when fueled with E85.